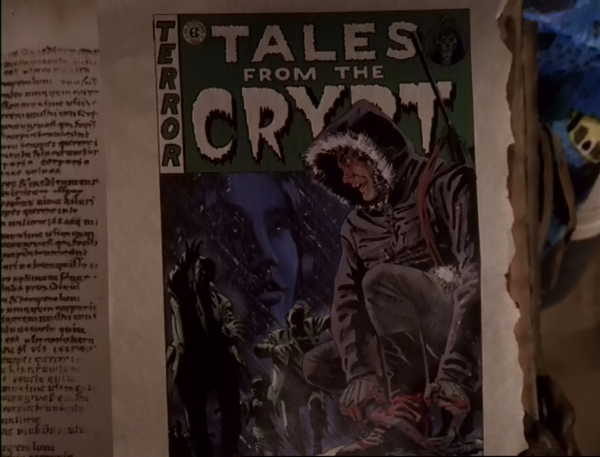 So with this month here at Channel Superhero being dedicated to “Tales From The Crypt” we felt it was only right that this latest edition also took advantage of this opportunity to look back at the classic series, let alone indulge our Michael Ironside obsession. At the same time we look at the cartoon spin off “Tales From The Cryptkeeper” which was just one show in a slew of teen horror shows which populated the early 90’s such as “Are You Afraid of The Dark” and “Goosebumps”. All this plus we talk Superhero TV and its current landscape, question what’s wrong with “Gotham” and discuss the horror films which bizarrely spawned cartoon versions.